Artistic expressions can find their way through many different mediums, such as musical instruments, movies, special dishes, and even buildings. There is art in every profession and creativity in any individual person. Virtual reality is not an exception, so this is why some are willing to use their creative potential to make beautiful art masterpieces, while others want to make the tools available for them to make it happen. 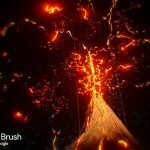 Google’s Tilt Brush is a revolutionary tool for painting and a new medium for people to make unique and (mostly) beautiful art in 3D. Wear an HTC Vive headset and paint life-sized, 3D strokes about anything with the swipe of a digital brush. You can be as creative as your inspiration allows you, and draw things that would otherwise be impossible with traditional methods. 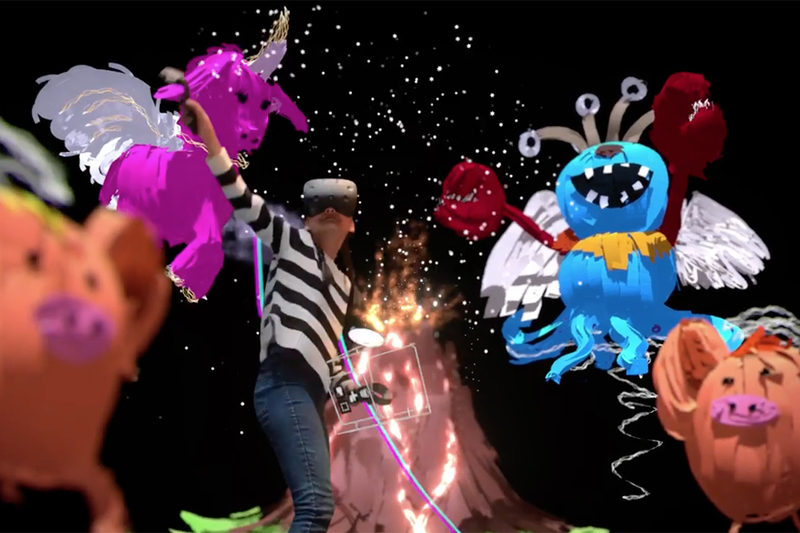 In a virtual reality environment, almost anything surrounding you can turn into a canvas, and you can use the craziest materials to make your virtual reality art. Impossible is nothing, you can design clothes, paint 3D abstracts, or simply have fun. 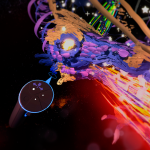 Tilt Brush is the paint of our era (if you still remember what Paint was). If you want an intuitive 3D design tool, then you should support Gravity Sketch in its Kickstarter campaign. By using its intuitive drawing tools, you can instantaneously create 3D geometry with each stroke, this speeds up considerably the designing process. Besides, everything sketched is of the exact same size as you see it. You can design and use a screen or a 3D space as a reference to know what the final size of the object will be, and then print it. Gravity Sketch lets you make difficult shapes in a matter of seconds. Gravity Sketch’s great tools allow symmetrical creations, complex figures, and full freedom. The best part is that this app intends to be a multiplatform utility. You can design something on your desktop, fill some details in virtual reality, and even make some edits from your phone. If you ever wanted to be a virtual reality movie director, then Mindshow will be the tool for you. This app will allow its users to choose the scene, stage the set, insert characters, and even animate the whole thing by suing HTC Vive’s motion capture capabilities. Then when everything is all set, users can capture voice-overs and record the scene. Maybe it won’t look like a Disney or Pixar’s movie, but it sure looks like fun. A tool for user-generated content like this one will appeal to a broad audience. 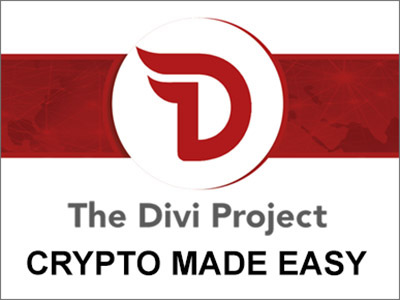 You won’t be able to try this one, at least not for now, but this tool exists and so we are talking about it. 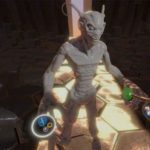 Quill is an Oculus’ internal creation tool, it allows its illustrators to draw in 3D so viewers can see these artistic creations coming to life around them. Quill does look a lot like Tilt Brush. Artists use Oculus’ Touch controllers and motion cameras to paint their creations. They can select many different brushes and colors in order to make art on a 3D canvas. Oculus is not planning to make Quill available for public, not yet at least. Only its own illustrators can use it. Kingspray Graffiti, developed by Infectious Ape, delivers realistic drip and spray effects that allow the user to spray with up to three other players at the same time from any place in the world! Choose the right pressure and cap to paint with, and choose from a wide variety of colors, you can even create your own colors. Join in the painting or just hurl bottles, bricks, barrels or any other heavy objects at your matesfriends to show them how much you dig their work. You can take a photo or a selfie to save your work, load it back up and keep painting later or whenever you prefer. Then, watch your avatar replay your master pieces to share your art techniques or show off your speed at painting. Share your work with friends, and download other people’s art to admire, critique, or just spray over! Oculus Medium is an immersive Virtual Reality experience that allow you to paint, sculpt, model, and create tangible and seemingly real objects in a virtual environment. Medium let anyone create expressive works of art, so whether you’re an amateur, a somewhat creative person, or a professional artist, you will use the same tools as everyone to express yourself artistically. Medium uses Touch controllers in order to enable intuitive hand movement and gestures for a natural, tactile experience. SculptrVR is an artistic VR app that you can use to create, explore, and share beautiful new worlds in Virtual Reality and it is now available for the Daydream. 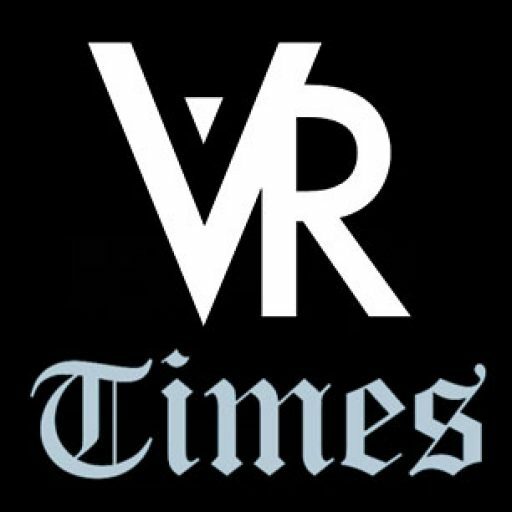 SculptrVR features very intuitive tools that allow players to shape and color every piece of creation that you build as a product of your own imagination. 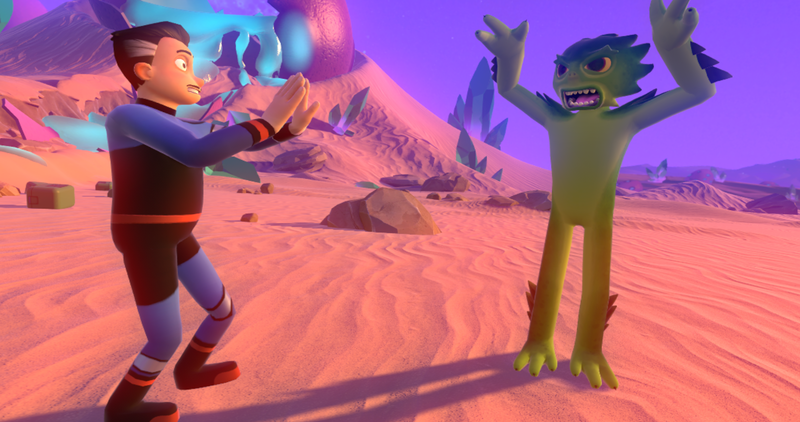 You can play with your friends from other platforms and team up to explore, create, and even destroy things together. Feel yourself like a God and move the moon or the sun, add some fog and create the right environment to your own personal VR world. 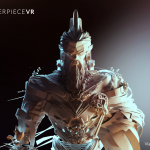 MasterpieceVR is a 3D art creation tool that offers many new features that other VR tools don’t have, such as a multi-user interface and the possibility to allow spectators to watch. This Painting and sculpting tool in Virtual Reality works on all the major VR platforms and has anything you need to make the best 3D art pieces. The app allows you to use over 20 tools and you can work collaboratively with 3 friends. MasterpieceVR also gives you the ability to use it in a desktop window mode while in VR, allowing you to watch images or videos in another window for reference. Google Blocks allows you to easily create 3D objects in virtual reality, the app is designed for everyone to understand it even if people don’t know much about modeling. 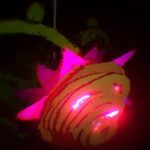 The app offers you six simple tools that you can use to bring your creations to life, create all sorts of volumetric art masterpieces, or just have fun letting your imagination go wild. 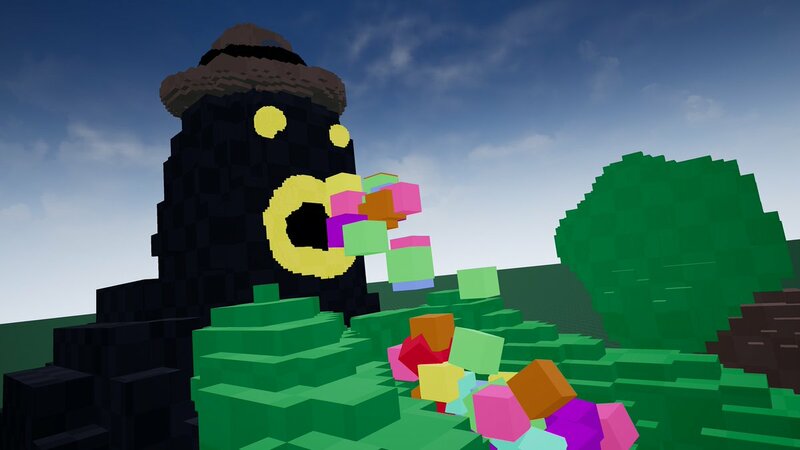 The 3D objects are all blocky and simple, therefore it’s named, this new VR tool is meant to become the new Paint for all those people wanting to test their artistic and creative skills. Do you know any other VR app for making art?